Deckard with his good, good, good so very good yes you are dog. How many dogs can say they’ve won awards? None of them, because dogs can’t speak English. But Deckard’s dog has won one anyway in this year’s Palm Dog USA. The Palm Dog is a competition for dogs of the filmmaking variety. Members of the Barker’s Guild, if you were. The Palm Dog is a mainstay of Cannes, the annual film festival, but this year was the first time the Palm Dog award ceremony was held in the United States. At a pop-up in Los Angeles, the best dogs in film were honored. 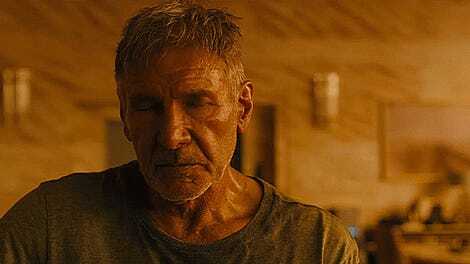 And Deckard’s dog was best of all. 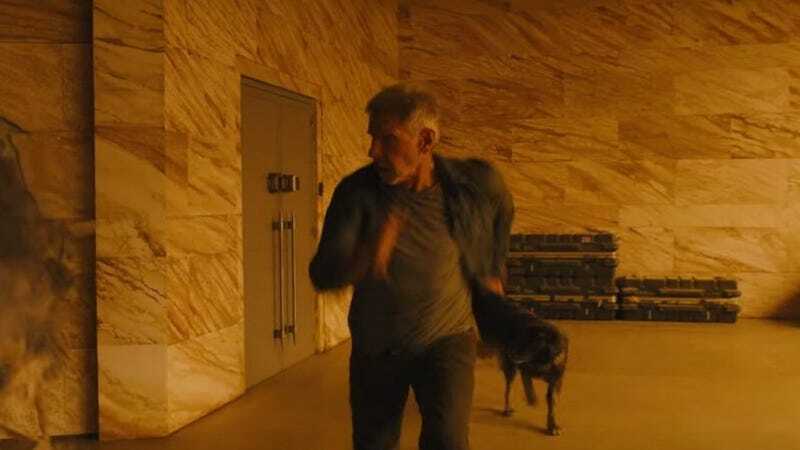 The precise identity of the dog that played Deckard’s companion is unknown—they remain uncredited on IMDB’s page for the film, though fans online have speculated that it’s either an Estrela Mountain dog or a Caucasian Ovcharka. Either way, one fact remains: they are a very, very good dog.